In digitalization planning, new business models and processes play a crucial role. 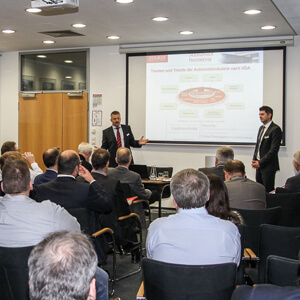 However, business integration and networking are of great importance too – and these are areas in which SEEBURGER has regularly been among the key market players, continually driving further progress in this field. SEEBURGER is one of the world’s true digital pioneers. Around 30 years ago, company founder Bernd Seeburger launched a DOS-based EDI solution that allowed companies to automate electronic data exchange, enabling them to digitalize business processes. In our modern world, many different ingredients need to be combined in order to see a digitalization project through to successful fruition – however without business integration and seamless networking, these projects often fail to get off the ground at all. 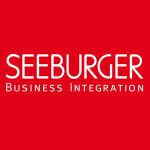 It is in precisely these fields of integration and networking that SEEBURGER occupies a prime position. “SEEBURGER defines itself as a driver of the digital transformation; we provide solutions and services for business integration, including data and processes, both on premise and in the cloud”, explained co-CEO Axel Haas at the start of the company’s in-house customer exhibition last November.